Alright, friends. 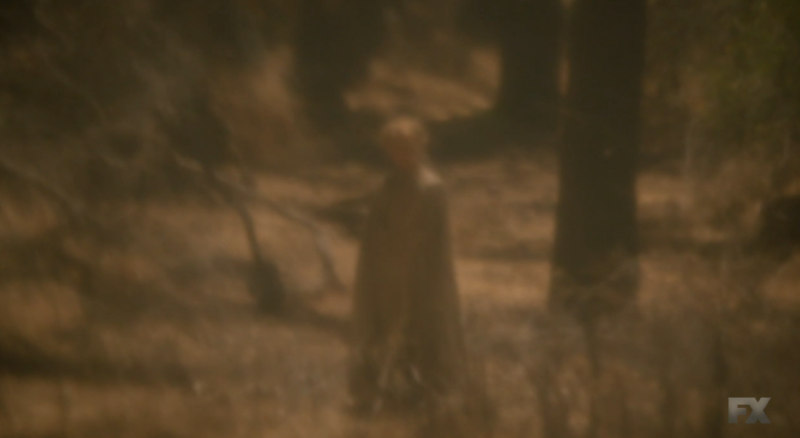 After five seasons of American Horror Story, and two episodes of the newest installment, Roanoke, we’ve well aware that everything on AHS takes place in the same world (and we’ll slowly start seeing more of these connections), and therefore, somewhat follows the same rules — and this is especially important when it comes to ghosts. So it's time to talk about the ghosts on American Horror Story!! You die there, you get to haunt it for all eternity. So that means, everyone we see haunting the grounds has to be dead...right? During the run of Season 1, Murder House, we learned that everyone who was still wandering around the Murder House had died, somehow, on the premise (remember how Constance desperately tried to get Addie back onto the front lawn, so she could become a ghost and stay with her?). The same went for Hotel; those who had died in or around Hotel Cotez checked in, and never checked out. 1. 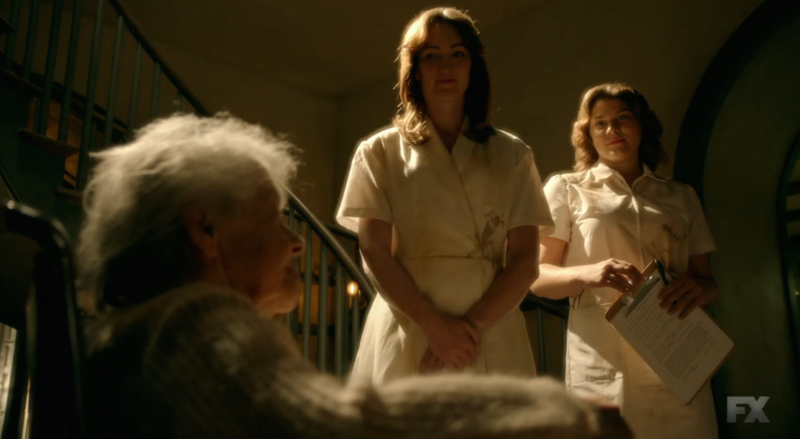 The Murde House nurses, Bridge and Miranda, died in the Murde House, because they are still haunting it. 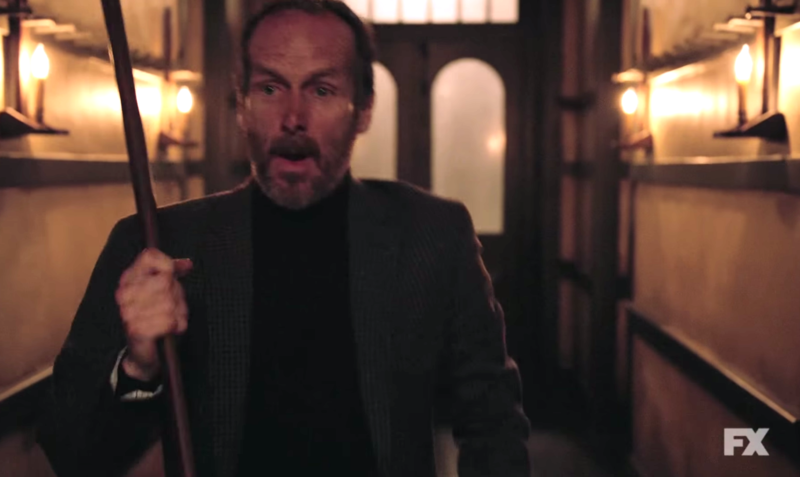 Even though Denis O’Hare’s character, Dr. Elias Cunningham, claims to not know what happened to them, if they’re still wandering around the house, that means they met their end there — because why would they leave the Murde House, die, and then come back and haunt it?? Is it REALLY that great of a house? 2. That LADY (Girl? Tween? Teenager?) standing outside the Murde House is like, 98% probably a ghost, so she also probably died here. Let’s assume that the ~ghost~ rule applies for the 10 acres of land around the Murde House (since the 10 acres of land around the house has been pointed out a lot). So she could have died outside…and also she probably died a long time ago, because look at her cool olden-times cloak! 3. 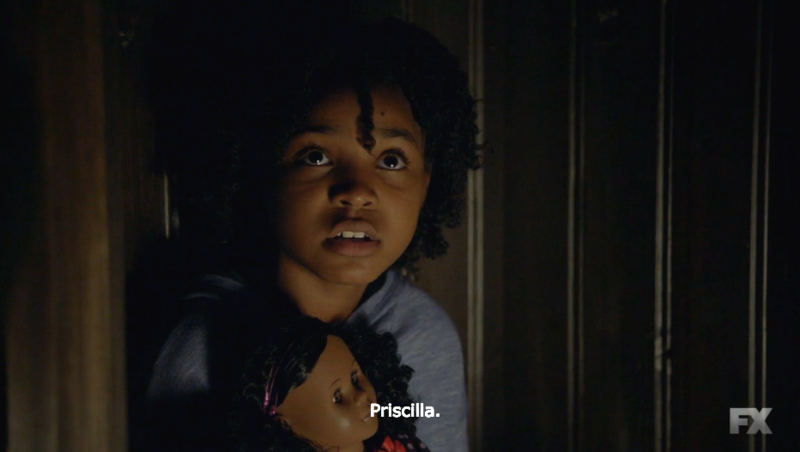 Whoever the F Pricilla is, also died in Murde House, more than likely as a child (and she’s probably NOT part of the family that Cunningham discussed, because he claims that the whole family left). 4. The creepy people in the woods MAY OR MAY NOT BE GHOSTS. Considering we’ve seen them for like .5 seconds on screen, we don’t know anything about them. Other than the fact that they’re into pig sacrifices. 5. Cunningham is probably a ghost!!! Because he (foolishly) went back into the house, and disappeared. We saw him in the home movie yes, but we also see him walking around in the first AHS preview for the season!! He’s also got that axe, and we’ve seen that axe a few times before. Can ghosts like, attack other ghosts? Is this something that’s going to be explored this season? That’s a lot of ghosts (and, a few possible ghosts). Why is this all important? It means that all these ghosts still have some hella unfinished business to attend to at the Murde House and everyone is PROBABLY DEAD. Matt and Shelby better GTFO while they still can.